Odblocks are comprised of several one-of-a-kind shapes that uniquely join together. All blocks are meticulously handcrafted from solid walnut and finished with all natural, food-safe oils. A toy or a sculptural piece for the home, each set includes 9 blocks, a custom canvas bag, and branded box marking your edition and block set number. I designed and manufactured all aspects of Odblocks, from branding to the product itself. 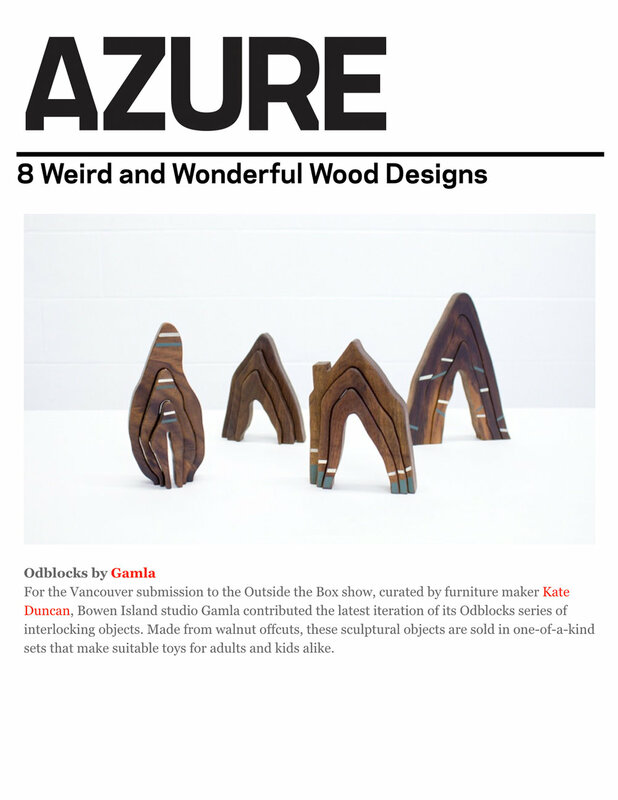 Featured in Azure Magazine and selected for exhibition at Toronto Design Offsite Festival, and Wanted Design in Brooklyn, NY.